My oldest son, a bright nine-year-old with big dreams, wants more than anything to be an inventor when he grows up. And having watched him design and build, and redesign and build better since he was old enough to know blocks could be more useful in his hands than in his mouth, I have no doubt he will succeed in doing just that. The trouble is he isn’t quite sure what to invent. He still lives in a nine-year-old’s world and thankfully, from his perspective, life is pretty good. So one of his favorite questions to ask people is whether they have a problem he can solve with an invention. This approach hasn’t led yet to much inspiration, but I think he’s on the right track because many of the most important inventions in history have occurred specifically because the world had a problem and it needed the inventors to step in and solve it. And, of course, I have to assume that when I say “important”, your mind jumps immediately to silly putty. In WWII Japan rushed to seize rubber plantations throughout Southeast Asia. This made a lot of sense strategically because rubber is an important resource for armies which need it for tires, rafts, boots, and all kinds of army type things. But this created a big problem for the US that got 90% of its rubber from Southeast Asia. The call went out to the American public to conserve and to donate any spare rubber they may possess. The public responded, turning in old boots, rain coats, and garden hoses. The Boy Scouts of America chipped in by collecting 54,000 tons of scrap tires in just the first few weeks of the shortage. 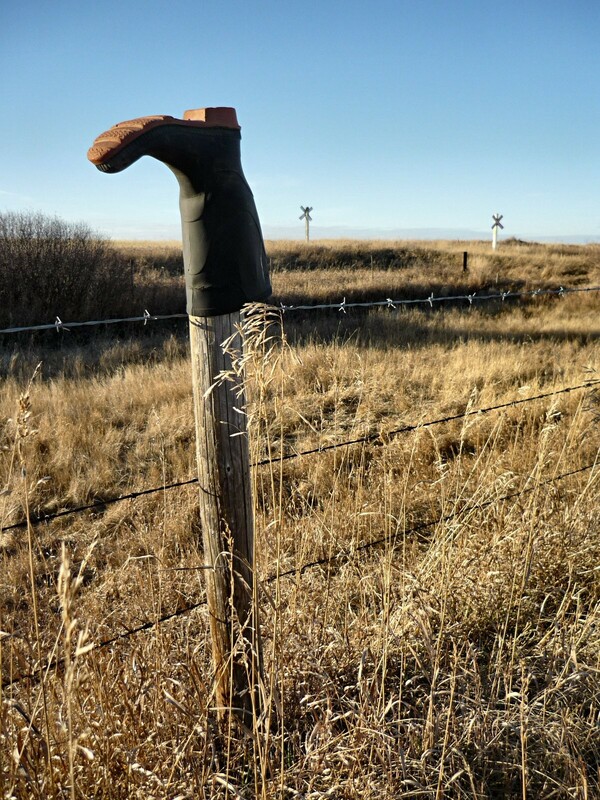 But conservation alone couldn’t solve the problem and so the word was sent out to the inventors that we needed a good, cheap, synthetic rubber material and we needed it fast. Industry in the US and around the world had been working on a synthetic rubber for about fifty years with some small scale successes, but nothing that could supply the wartime need. It was Waldo Semon of B.F. Goodrich that produced a substance that could fill the gap. And if this blog were as practical as it claims, this post would probably be about him. Instead it’s about a General Electric scientist by the name of James Wright who in 1943 made a rubbery putty that bounced even better than natural rubber, that stretched if pulled slowly, broke if twisted quickly, and picked up petroleum-based newspaper ink. And if left on a lab table, it puddled. This last characteristic made it unlikely as a candidate for use in effective tires, but Wright still thought it was pretty cool. Frustrated that he couldn’t find a good use for it beyond impressing his friends at parties, Wright consulted with fellow inventors throughout the world who all said it also impressed their friends at parties. Eventually the substance came to the attention of Peter Hodgson, a marketing specialist who had worked with a toy store owner that briefly, and somewhat successfully, included the substance in her catalog. Hodgson saw potential and bought the production rights from General Electric for $147. With Easter coming up, Hodgson named the stuff “Silly Putty,” packaged it in small plastic eggs and waited for his millions to roll in. 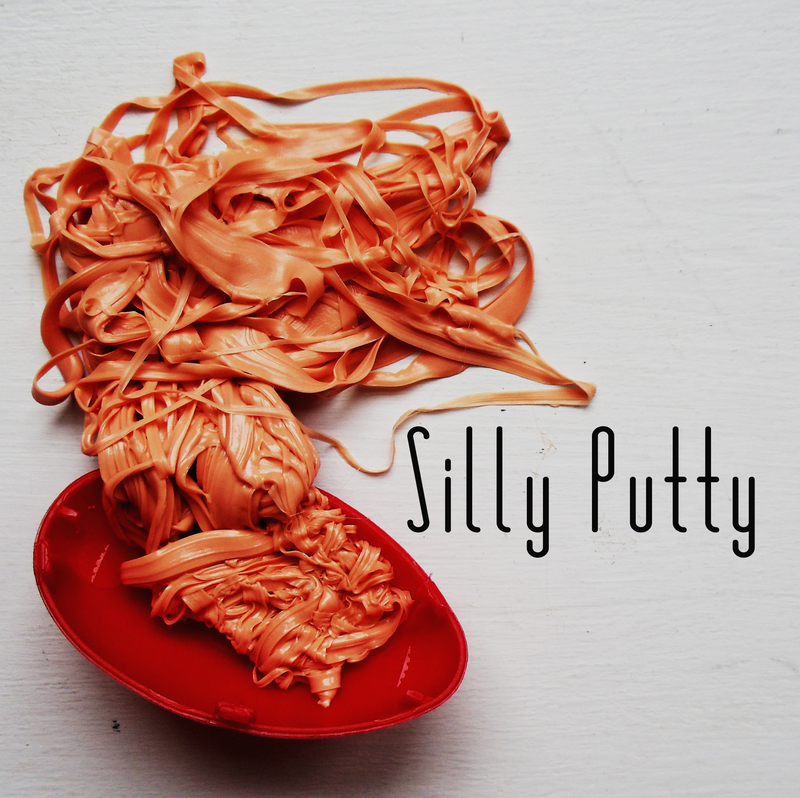 Before long silly putty was enjoying worldwide success and it even launched into space with Apollo 8, where it finally proved useful as a means to hold down tools in zero-gravity. By the time of Hodgson’s death in 1976, his estate was worth $140 million in silly putty money (even so, all of his checks bounced—get it?). So I may not be able to provide a great deal of inspiration for my budding inventor, but it still seems to me that he’s onto something. The world has lots of problems that need solving. And if that doesn’t work out, it also has lots of party-goers that need impressing. Ever interesting! Make sure your son doesn’t sell whatever-it-is-going-to-be for a mere $147. I offer $148 ! Thank you for the very generous offer. We’ll have to mull it over and get back to you after he invents whatever amazing thing it’s going to turn out to be. Buy him a lab coat. Maybe get it embroidered. I loved ’em when I worked in a lab, and they are infinitely useful for protecting clothes. Maybe find some cheap ones, and buy a couple extras, for guests. But you might also point out to him that a lot of science is done just by watching stuff, not always inventing new things for immediate practical application. A great deal of inventive energy is spent in real science labs in inventing devices to help with observations. Among the better things scientists get to do, I always thought, was go to exotic locations with cameras. That inspired me — still does. Quad copters and GoPro cameras are pretty cool things, even when you don’t invent ’em. He’s a great kid, we can tell. Super cool! And thank you. He is a great kid. 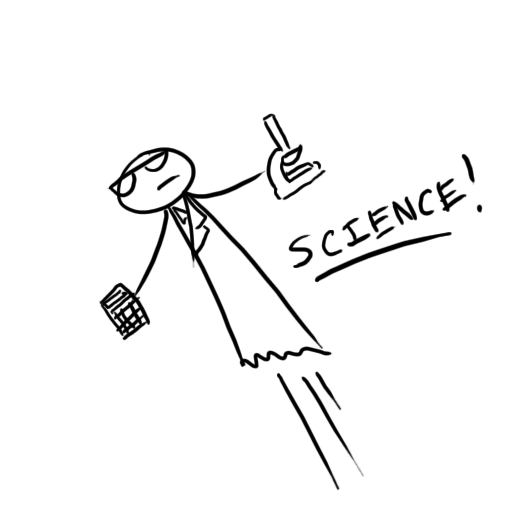 And he does have a lab coat, that he wears as often as he can get away with it. I’m blessed to have two great kiddos with widely varying interests.